Every 6-Week Transformation, I have this silly notion that choosing our Transformation winners will get easier. But I’m always wrong! I’m sure my FitPro team would agree. 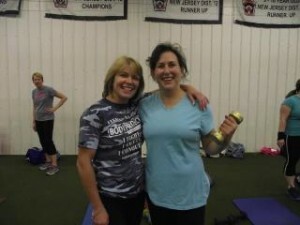 We wrapped up our Spring 2012 6-Week Total Transformation Boot Camp last week and selecting the women deserving of the Transformation Winner proved to be just as challenging as ever. During the 6-Week Transformations, everyone brings their A-game. They bring their best not just because they have a chance to win a free year of Body Project membership (which is pretty awesome, I’ll admit! ), but because they genuinely are committed to transforming their life. ** Maybe they’re sick and tired of feeling sick and tired. ** Maybe they want to just fit in a pair of their favorite jeans without worrying about what they look like from behind. ** Many of the women are at wit’s end because they’ve tried and tried to lose the weight with new diet after new diet only to find themselves in the same spot they were before: frustrated, feeling fat, and feeling lost. ** Most of the women are sick of dieting and binge exercising. Because they know that it never works and it takes entirely too much energy and stress to be on a diet. They are ready for something that works and that continues to work…and that’s actually fun and enjoyable to do. Oh…and they can still eat deliciously without guilt. 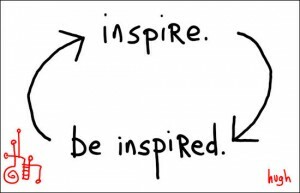 But with all these reasons, at the end of the day, I would argue that all of us simply want to find and share with others the best version of ourselves. This year’s Spring 2012 6-Week Transformation winners are truly an example of women who have taken on the challenge of discovering the best version of themselves. They embrace the essence of transformation…beyond pants size, diets, and fitness capability. They have seen their transformation from the inside-out…and the most exciting part: their journey is just beginning! Join me in congratulating our Body Project Spring 2012 6-Week Transformation Winners! 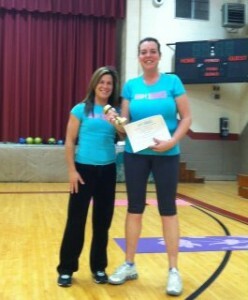 Robbinsville winner Beth Friedberg and FitPro Anna D'Anna! “One aspect of my life that has been transformed over the past few weeks is that I have really given myself the time to focus on me. Having spent the better part of the last 14 or so years at home with my daughters, being a mommy, I feel as I really have lost my identity. To be honest with you, I haven’t really felt that I have been too successful an anything recently. Don’t get me wrong, I know I’ve raised 2 wonderful daughters, and I wouldn’t change that for anything, but I really felt as if the “true Beth” had been buried away deep inside of me. I think I’ve been in quite the rut for the last few years! Knowing that my “active” mommy years are coming to an end, I knew I had to do something to help me start peeling away the outer layers and rediscover myself. I have done a few other transformations, both this one felt different. I think I was ready and willing to put my all into and I really fell I have been quite successful. Having been overweight as a child, I’ve always been conscious of my weight and what I “should or shouldn’t” eat, jumping from one diet to another. However, on this transformation I really focused on what my body was telling me and have started to learn to eat only when hungry and have really been feeling satisfied. I’ve tried lots of new foods and even managed to stay on track while on 2 vacations! Having never been an athlete… I’ve always felt embarrassed by my abilities. Often times I would tell myself that I couldn’t do something before even trying it. But in this transformation, I was able to quiet the voices in my head, I and realized I do have some athletic abilities. I love using the heart monitor and have really been trying to challenge myself. I have even been convincing my husband and daughters of the benefits of HIIT training! In 6 weeks, Beth lost excess fat and inches in her waist and hips and decreased her waist-to-hip ratio because she took her training to a whole new level by training within her heart rate zones that she learned in our HeartRate Training Clinic, and focused on fueling her body…not dieting! “I want to start off by saying, joining Body Project has been a joyous experience. I could have never experienced everything I have had by myself, between exercise, food, and overall health. I feel better than I have in many years. The major aspect of my life that has changed the most would be my overall image of myself. When I look into the mirror now, I don’t see a 45 year old woman who feels miserable about herself. I see a young, motivated, healthy woman ready to take on anything the day throws at me. My husband has even seen a change in me and for him to mention something, it’s a big deal! I have achieved many things by joining Body Project, but the most incredible experience was running my first ever 5K. It was truly a dream come true for me. I never thought in a million years that I could ever do it. The best part of it was when all 3 of my kids were cheering me on to the finish. Happiest day ever! It actually brought tears to my eyes. My oldest son who had finished before me, was so sweet to come back and finish the race with me, encouraging me all the way to the finish line. When I joined a gym a year and a half ago, I thought I would see immediate results. That wasn’t the case and I was discouraged. Finding BP was the best thing that could have happened to me. The results aren’t just skin deep, my entire outlook on life has improved tremendously. 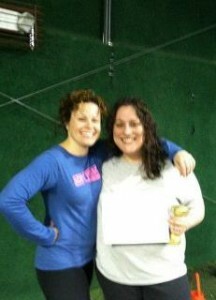 I couldn’t have done it without BP and the amazing trainer Carrie ward who has motivated me every step of the way. In just 6 weeks Laura lost 10 pounds, over 10 inches (mostly in her waist and hips), got her body fat percentage in a healthier range, ran her first 5k race, and completely transformed her mindset!! West Windsor Winner Sandra Benedetto! “The aspect of my life that I have found transformed the most is my way of thinking. My outlook on life, my mood, and just my overall well being. I have noticed that my thought process has become more positive and relaxed and I attribute this to my acceptance of how I had been living my life and applying what I’ve learned these past six weeks. I am putting myself first and making myself matter. I understand what I need to be healthy and strong and I am taking steps toward that lifestyle. It is hard to accept yourself when you are overweight and out of shape. When you are tired often and feeling sad. When you are embarrassed to see people you know because you are not looking and feeling your best. It is harder to accept yourself when you are not doing anything to change. I realized that no one is perfect, but when you are not striving to be your best, you are just letting yourself down. I realized the only one suffering was me. Now, I am enjoying boot camp. I leave class feeling like I accomplished something just for me. I matter. Whenever I eat, i savor my food. I prepare colorful, wholesome, nourishing meals and acknowledge the benefits. I understand that the transformation I signed on for is not just about 6 weeks of boot camp. It is about me and it’s about a lifestyle. In 6 weeks, Sandra focused on her workouts and on eating for energy…taking the information from our live seminar, “Nutrition Strategies for Optimal Health and Weight Loss.” As a result of her focus, she lost nearly 6 inches in her waist and hips alone! And a special congrats to the winners of the “Hurricane Challenge” – showing significant improvement in their fitness level over the last 6 weeks! Join me in congratulating the winners and all the women who committed to themselves for the last 6 weeks. We should all be inspired by them to continue our own journeys!